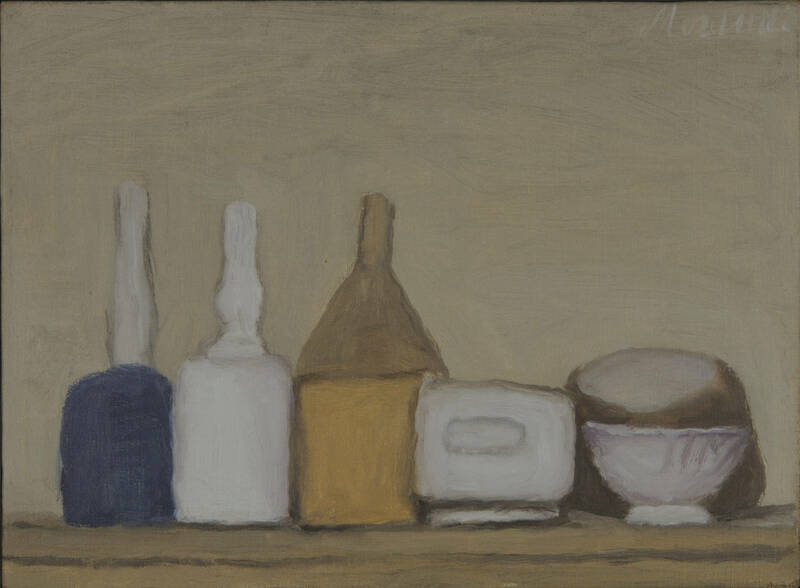 Morandi’s rearrangements of a limited number of everyday objects forces me to reevaluate (and feng shui) my everyday objects. What if a plate I kept on a shelf was suddenly moved to another table? What if I start displaying my mugs outside of the constraints of a cabinet? 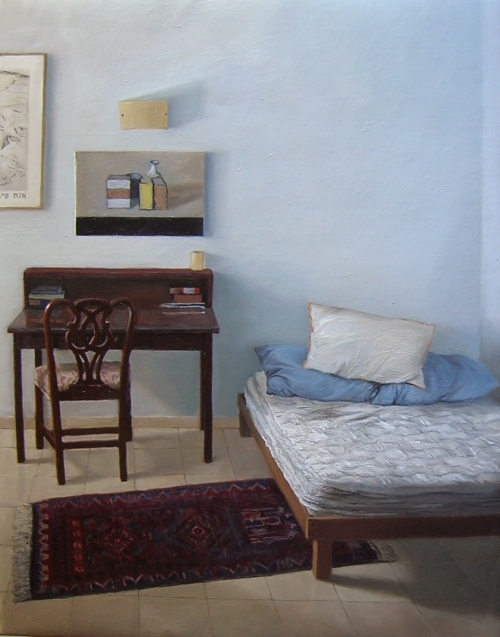 What do these objects do for me and how does placement affect emotions? 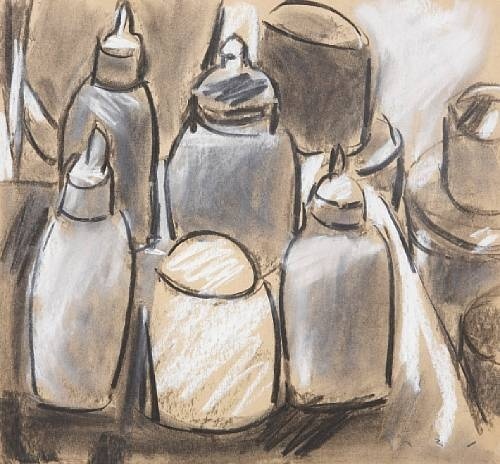 Morandi reexamines that which is often overlooked – forcing the viewer to see bottles and cans as almost abstract pieces – without context. 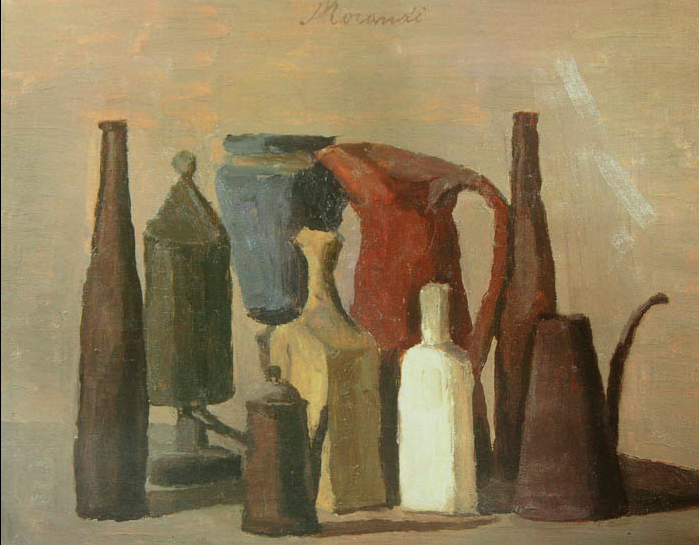 Morandi broke the rules of any first-year art student is. 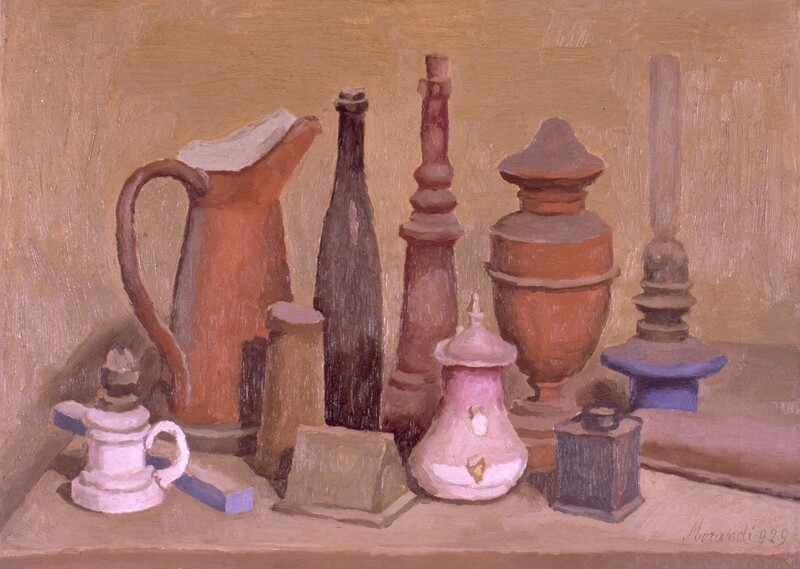 Rather than painting a still life as a form of perspective, size, and placement – his habit of aligning objects so that their contours form a continuous, flattening line, makes all objects seem level, collapsed, and devoid of depth. 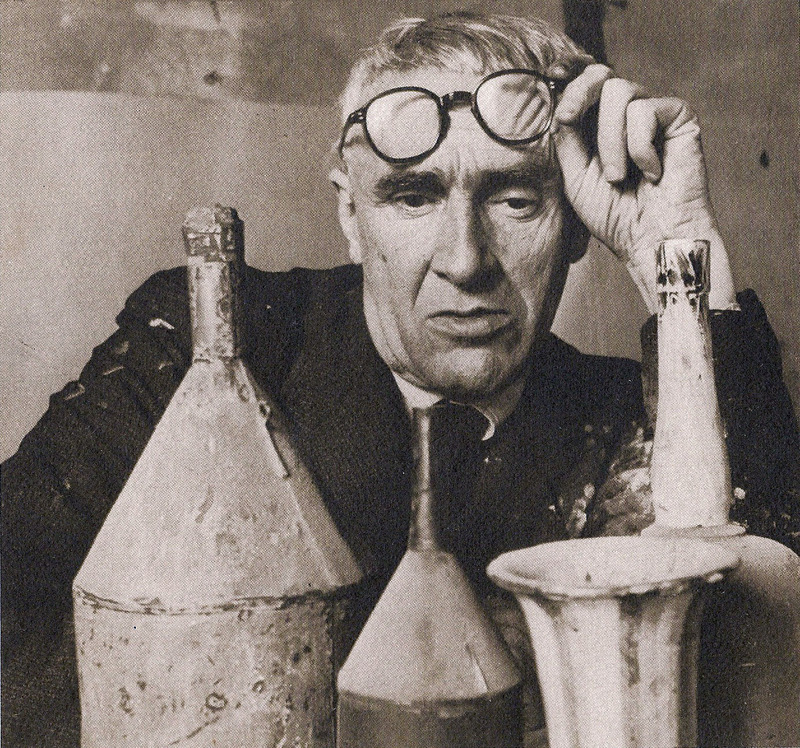 If you want to experience his objects in person, the house in via Fondazza 36, where Giorgio Morandi lived and worked from 1910 to 1964 was opened to the public on 17th October 2009 as Museo Morandi. 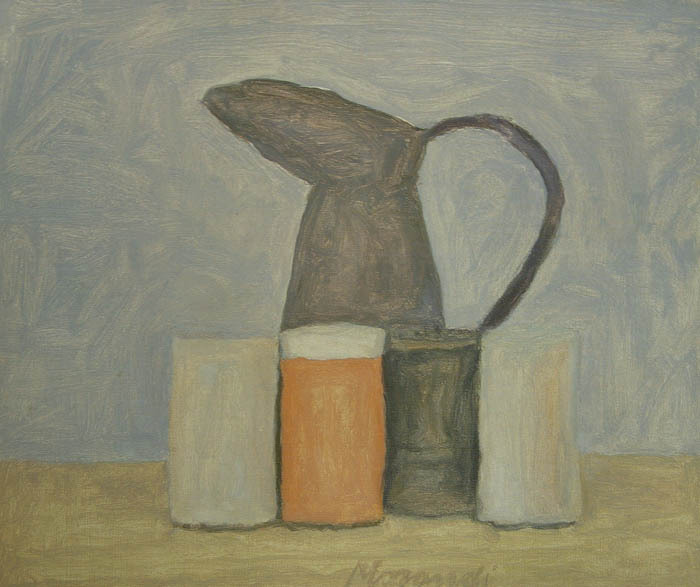 Rebecca Harp, “Morandi by the Bed,” Oil on linen, 14 x 18 inches, found HERE. 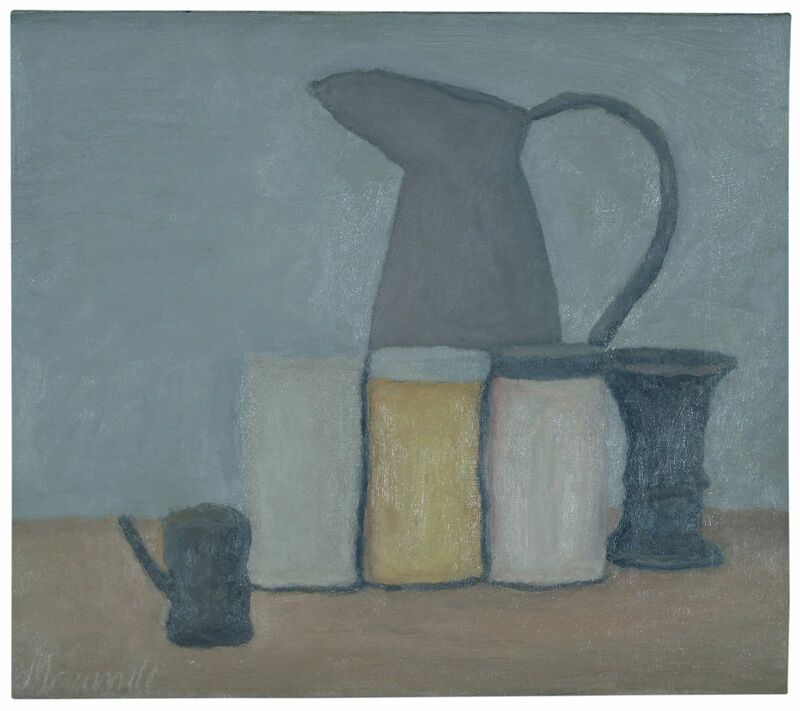 Inspired by the still lifes of Giorgio Morandi, these functional and versatile pieces are organic in shape and finished with a simple matte glaze. They look great individually or as a collection. Purchase, HERE. 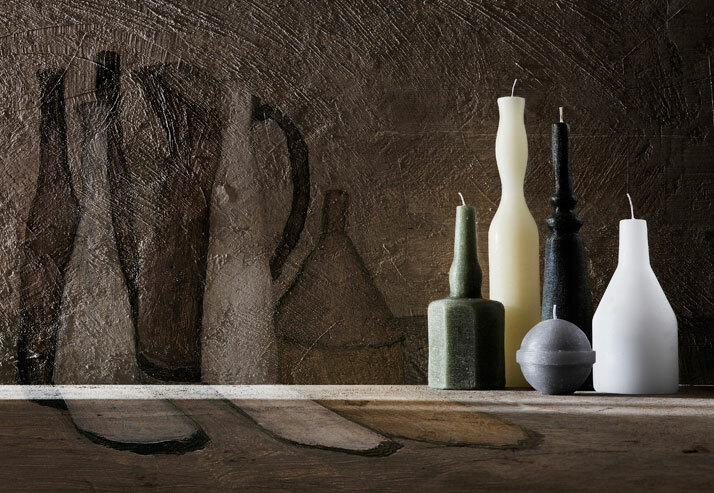 Morandi Mood Vases by Nadia Pignatone. 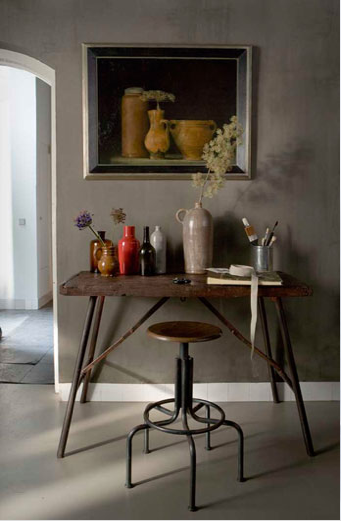 Image via UK Elle Decoration December 2010. 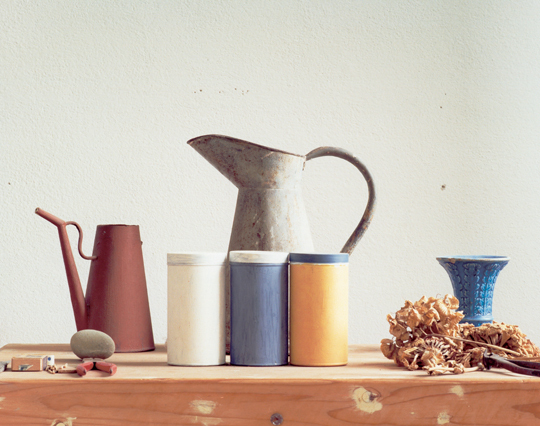 Luigi Ghirri, Atelier Giorgio Morandi, Grizzana, Bologna, 1989–90, found HERE. Bottles on display in a very unique way. 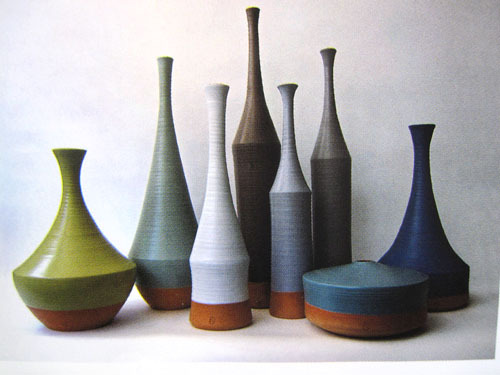 Vases and containers as art. Image via the Shelterness, HERE. 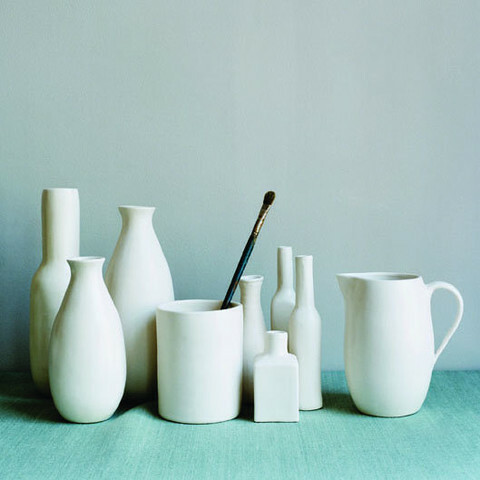 A fresh and natural take on Morandi’s obsessive arranging via Better Homes and Gardens, HERE. 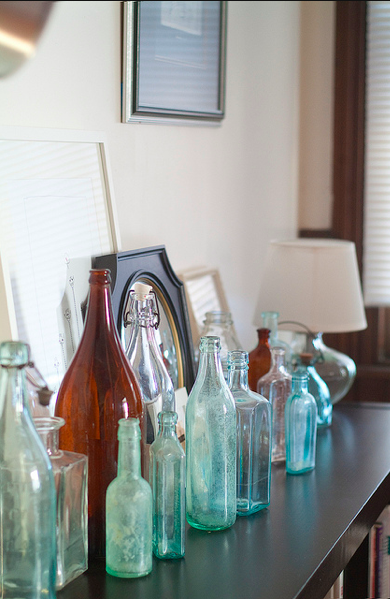 Rachel Thurston’s home via DesignSponge. 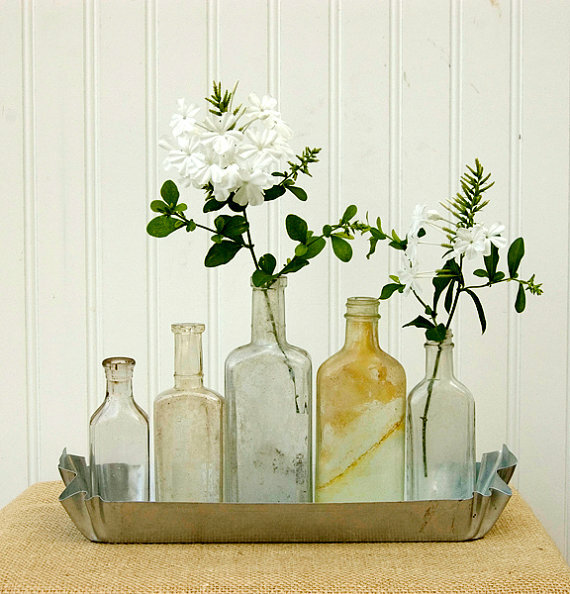 She explains, “For our wedding we used old glass bottles as table decoration and after the fact, thought they would be a perfect addition to our yellow sun porch. 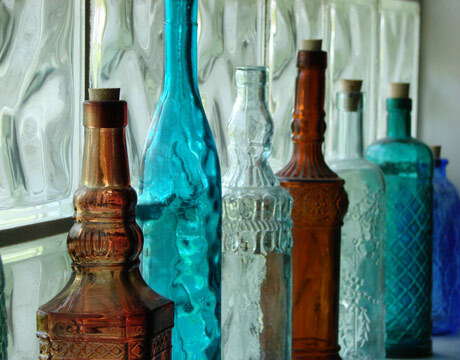 We bought most of the bottles at the Rose Bowl Flea Market.” Image found HERE. 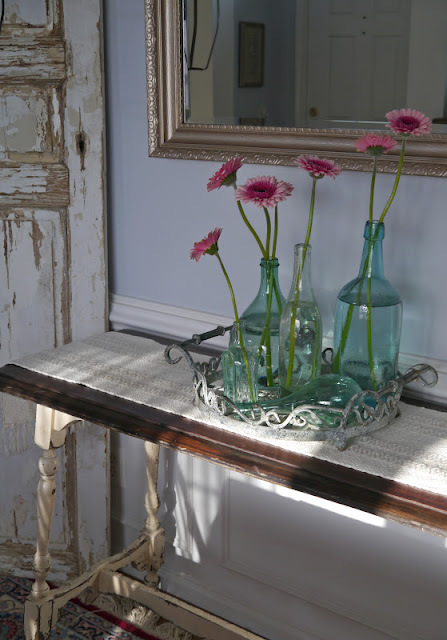 This rustic and french antique looking display of gerbera daisies via Chateau Chic, HERE, as a celebration of spring weather! 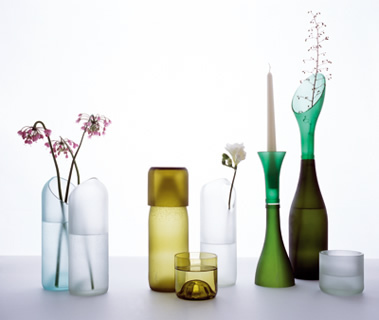 The TranSglass Recycled Vases and glassware by Emma Woffenden & Tord Boontje, found HERE, available for purchase HERE (very reasonably priced). 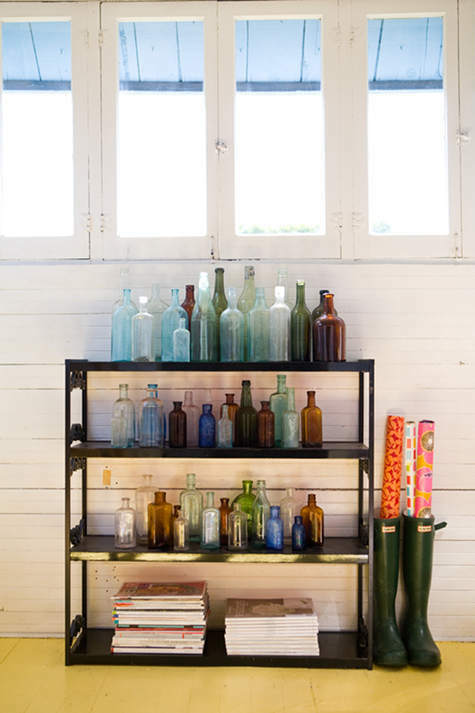 “Bottle Display: Snag a stained glass effect in seconds. 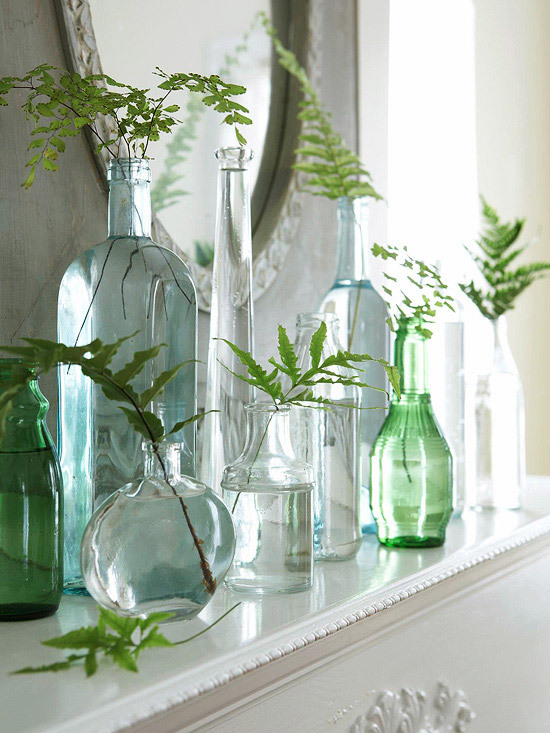 Just display colored-glass jars and vases on windowsills.” — Thomas Jayne, Thomas Jayne Studio, found via Country Living, HERE. 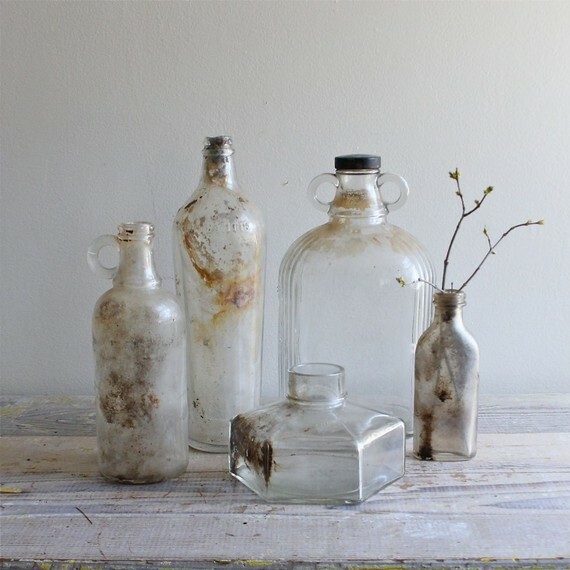 Antique Apothecary Bottle Collection “Mendocino Christmas” via JennasBeachRetreat on Etsy. 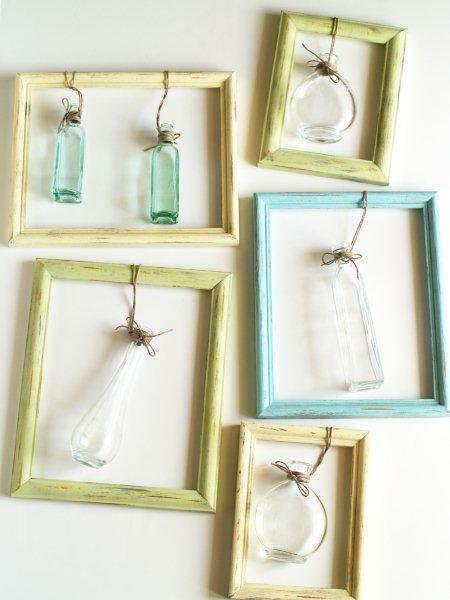 Antique and Vintage Bottle Display, celebrating pretty old things, found at ethanol lie via Etsy. 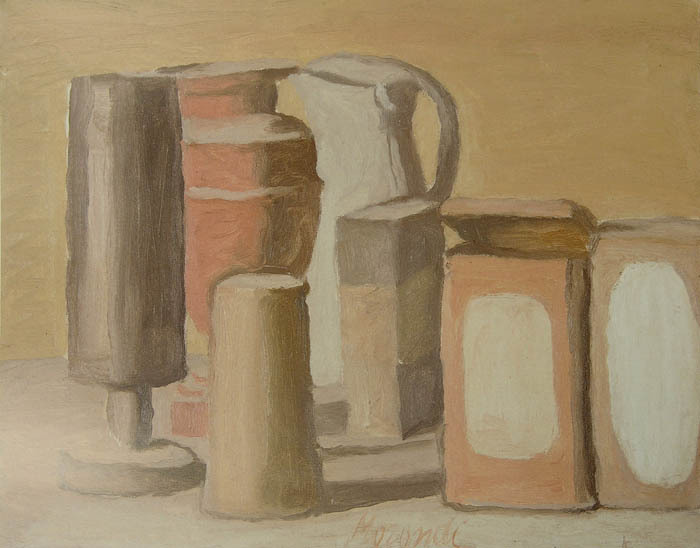 Just be rearranging simple and small objects, a large difference in our perceived reality can be made.